Our cute Boo Spider Halloween Door Decoration won’t scare of anyone. He does have eight legs but he also has a crooked smile, is wearing a purple, green and orange hat, and is holding a sign in his mouth that says Boo. 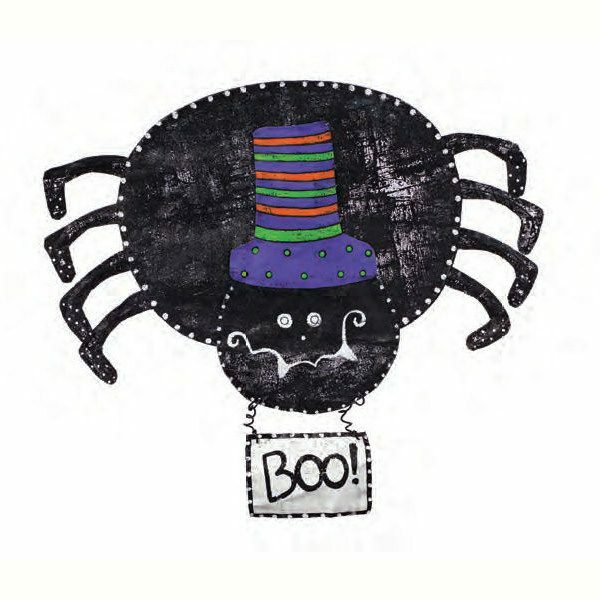 Be the first to review “Boo Spider Halloween Door Decoration” Click here to cancel reply.